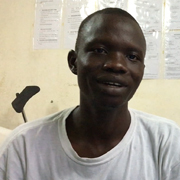 My name is Obulejo Stephen Melebi, a 27 year-old midwife with MSF. It may sound surprising for some to hear about a male midwife but my sister, who is also a midwife, and joined the profession, inspired me. In South Sudan people are severely lacking in medical staff and anyone with medical experience is highly appreciated, including a midwife like me. In only rare occasions has anyone shown any consternation towards my services as a male midwife. And it’s a profession that motivates me, working to see babies safely delivered across the country. I have worked as a midwife for the government in Kajo Keji and Torit in the Greater Equatoria region and, for the past three years, with MSF in other areas such as Gogrial and now Malakal. My career in midwifery started in Kajo Keji at the National Health Training Institute. It is here that I was trained not only to deliver babies, but to resolve cases of difficult deliveries. I help with complications and often make the decision to refer difficult pregnancy cases when necessary. These skills, dealing with pregnancy complications, were greatly enhanced once I was trained and started using an ultra-sound machine here in Malakal. In the past, before we were equipped to use ultra-sound, suspected pregnancy complications were taken far distances to receive an ultra-sound scan. 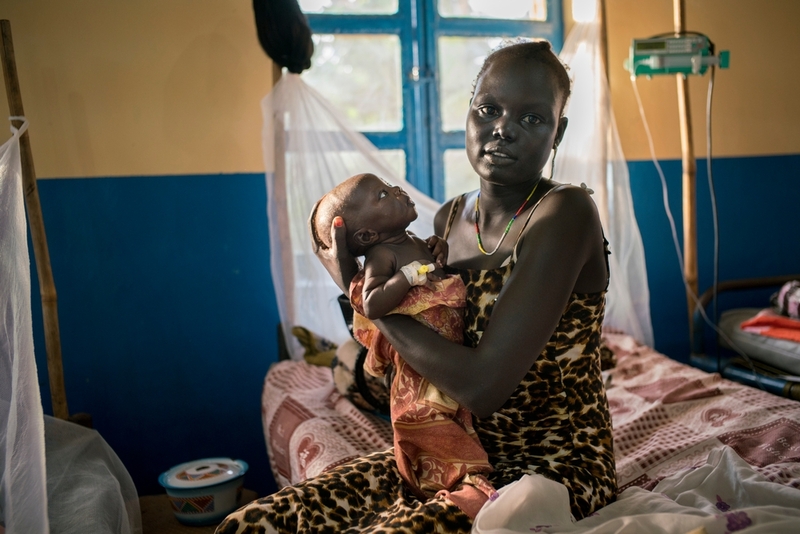 When working in Gogrial, for instance, pregnant patients had to travel vast distances in often challenging conditions to receive the scan –either in Aweil or Agok, which can be six hours drive away. It’s a long journey and even longer during the rainy season with muddied roads. Outside of MSF facilities, even towns with ultrasound machines are often inaccessible to the public since it would cost the patient money for the scan to take place. When I started using the ultrasound scan at MSF, I reflected back to a time without the device where obstetric emergencies and complications could have been prevented—even maternal and foetal deaths. In some cases, before we had an ultra-sound machine in Malakal, these complicated pregnancies could lead to tragedy. One time I was sent to meet an expectant mother who had twins but we did not realise this since her placenta came out after the first child was born—something normal for a regular delivery. The new mother’s womb was larger than usual but we did not expect twins since some expectant mothers have the polyhydramnios condition whereby excess fluid makes the womb appears larger than necessary. Unfortunately the second child passed away, an experience I shall always deeply regret. If we had an ultra-sound machine and training to use it at that time, this could have been prevented. 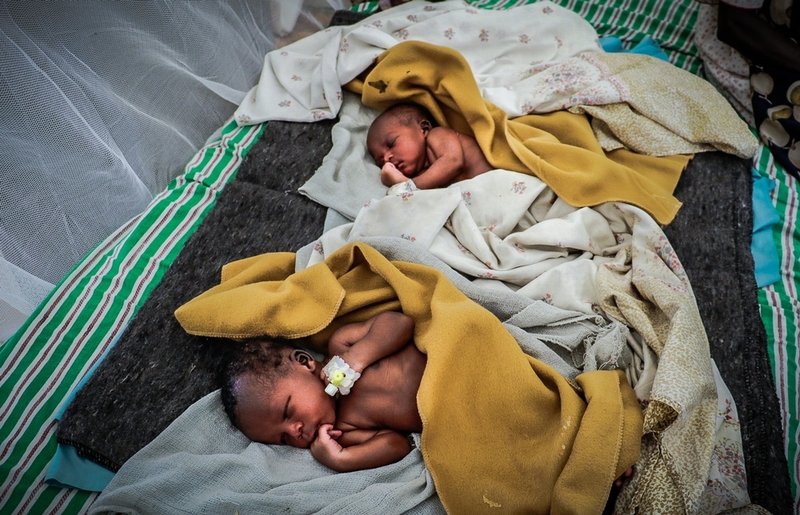 Newborn twins at the MSF Hospital in Malakal, South Sudan. But now I routinely use an ultra-sound machine in Malakal and it has proven to be a real game changer. For me, the introduction of basic ultrasound scanning in the maternity ward has greatly improved decision making. After getting a patient’s information, history and physical examination –if you feel you need to know more, you can investigate further and conclude an accurate diagnosis without seeking a physician. Perhaps, in simple terms, we can compare the introduction of ultrasound scanning to the rapid diagnostic tests used for malaria. Previously, blood samples and an analysis under a microscope was required to determine whether a patient had malaria. That’s a process that could take hours. Now rapid diagnostic tests for malaria can take ten minutes. The work is more crucial than ever at this time in South Sudan. Africa’s newest country has one of the highest global child mortality rates with 96 deaths per 1,000 live births, according to 2017 UN statistics. That’s nearly ten percent of all children below five years of age. Further, the conflict has disrupted hospitals and the crucial training that I managed to receive just in time before fighting broke out. Despite the challenges and uncertainty ahead, one thing I can say with certainty is that the job of a midwife is very rewarding. There is nothing better than seeing a mother leaving the hospital here in Malakal with her new-born child, waking home. If a new mother has a baby boy, some have even named their children “Steve” to acknowledge my work. If a girl is born, they sometimes name her after my lovely mother, who is called “Queen”. So, if you happen to be walking through the streets of Malakal and meet a young boy or girl named Steve or Queen, maybe you’ll remember this story.